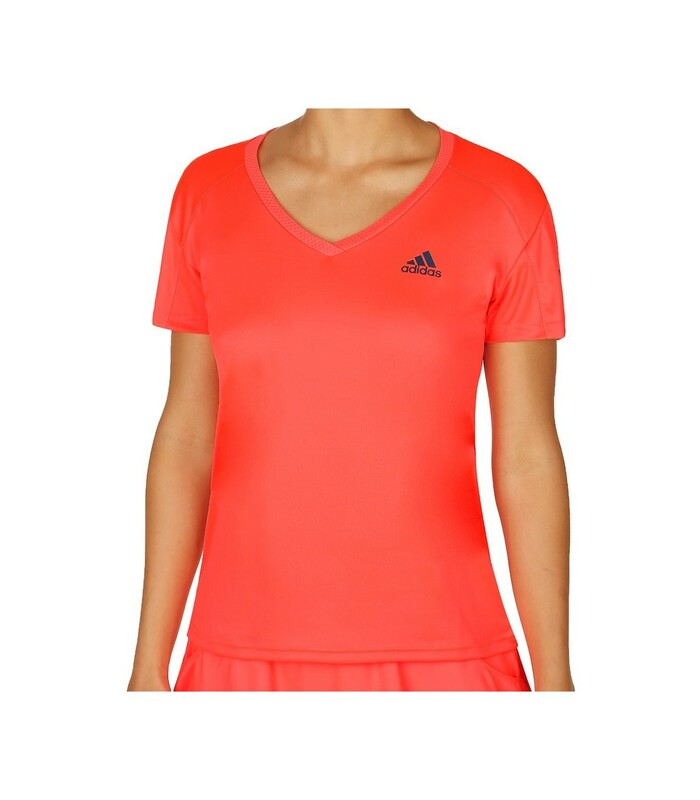 The flash red s15 tech steel f16 Adidas Club squash t-shirt for women will surprise you with its pleasant, aerated and breathable material. 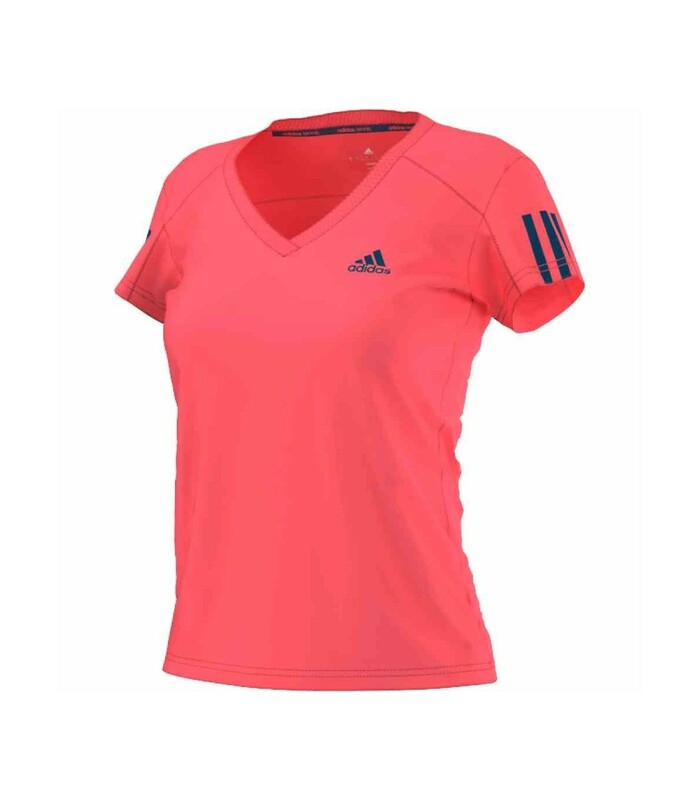 Do not choose between style and comfort with the flash red s15 tech steel f16 Adidas Club women squash t-shirt. 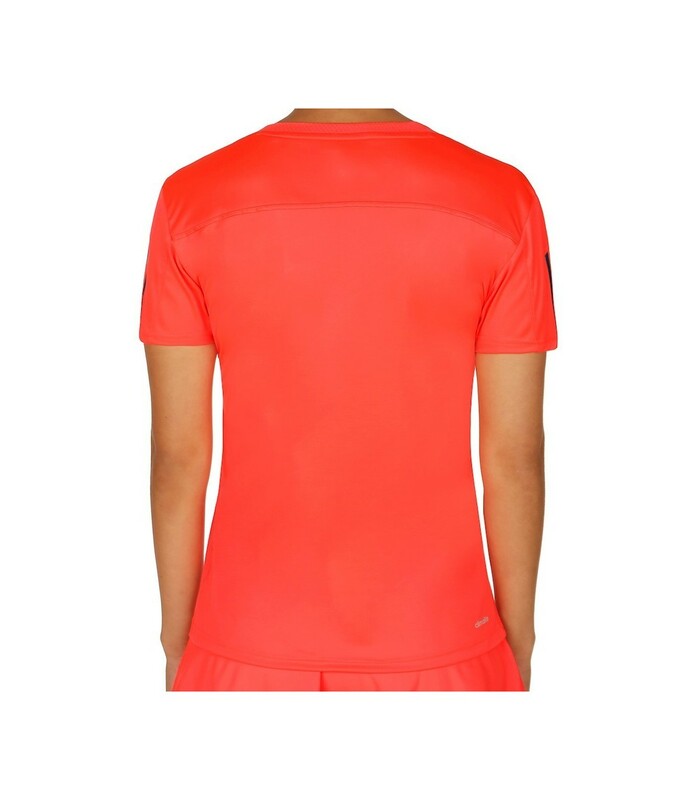 With this flash red t-shirt, its v-neck and its dark blue logo, you will play with style and elegance. It brings you a dynamic look with its flash color and a smart look with its style and its cut. With its polyester material, this squash t-shirt for women adapts perfectly to your morphology. In addition to its aesthetics, you will appreciate the unique comfort provided by the Adidas Club squash t-shirt: it is ultra-absorbent and allows your body to breathe. With this technical and high quality squash women squash t-shirt, you only have to focus on your game.